Expansion Records have reissued two albums by current Four Tops member Ronnie McNeir. 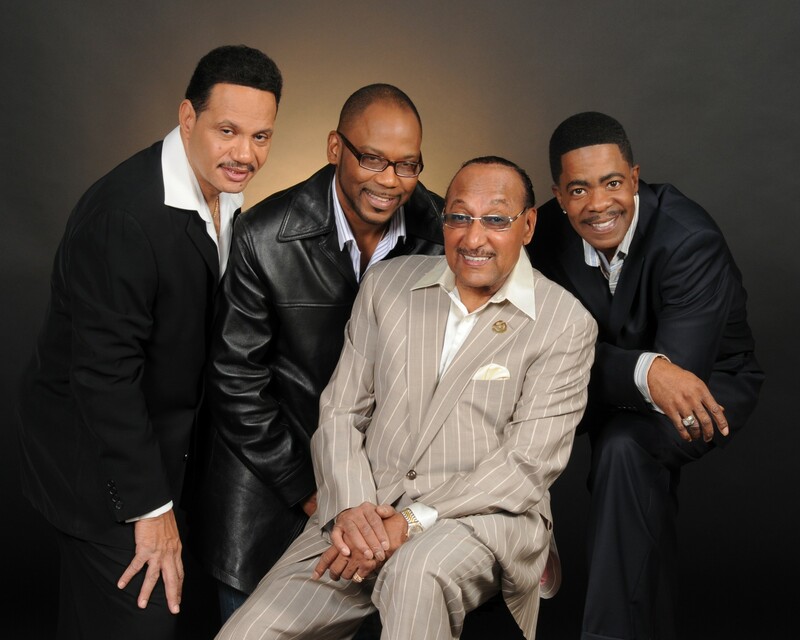 Ronnie McNeir is perhaps best known as a member of the current incarnation of the Four Tops. The Michigan born singer joined the legendary Motown quartet when the group’s lead singer Levi Stubbs fell ill, and has been a permanent member ever since. But there’s so much more to Ronnie McNeir than just being a replacement member of the Four Tops. His career is an incredibly fascinating one, as demonstrated by the recent reissue of two of his eighties solo albums by Expansion records, Love Suspect (1987) and Life & Love (1989). It’s fair to say that the albums are a product of their time, with their heavy use of synthesisers and drum machines, but featuring some excellent vocal work from McNeir and the occasional horn solo. McNeir possesses a unique voice that is smooth and soothing, and is best utilised on the slower, romantic songs on both albums. That said, McNeir is also pretty good on the up-tempo numbers (particularly impressive on “Searching” on Life & Love). Both albums are now available on all digital platforms, complete with re-mastering and additional tracks not included on the original releases (including a decent take on the standard ‘Beyond The Sea’). Although never a household name, McNeir has been around for a long time, and worked with many of the greats in soul music. Born in Alabama, McNeir grew up in Pontiac, Michigan listening to the sounds of Motown and the Detroit soul scene. A talent for music emerged in the young McNeir, who was able to learn piano in his teens. In 1966 he would get his first taste of success after winning a local talent contest, which led him to sign his first record deal and released his first single, ‘Sitting In My Class’. Although not a hit immediately, it would be picked up in the UK on the Northern Soul Scene becoming a firm favourite in the northern clubs. By 1972 McNeir, like Motown Records, had left Detroit and relocated to Los Angeles where he secured a job as the musical director for former-Motown star Kim Weston. Impressed by his talent, Weston helped to develop McNeir’s talents which helped him gain the attention of RCA Records, who handed McNeir a record contract. That same year he released his self-titled debut album, which has also recently been reissued on digital platforms. Throughout the seventies and eighties, McNeir worked on his own solo career as well as writing and producing for other artists. He struck up a close friendship with Renaldo “Obie” Benson of the Four Tops, and began writing material with him (Benson was an underrated writer, despite his co-writing credit on the Marvin Gaye classic ‘What’s Going On?‘). He worked with the group on their excellent The Show Must Go On album in 1977. McNeir inevitably found his way to Motown Records, and got the chance to work with Smokey Robinson on the soundtrack to the film Big Time (the opening song is full of synth sounds, suggesting McNeir arranged that). He also recorded the out-of-print Love Coming’ Down, a sought after album in the soul world. While working at Motown McNeir joined forces with another new Motown act named Teena Marie, and recorded some duets with her before she teamed up with Rick James to produce her first solo album. Later on, when Marie had left Motown, she invited McNeir to perform a duet with her on the Star Child album. The duo appeared together on Soul Train to perform the track. McNeir left Motown in the eighties, but continued to seek out new opportunities and new sounds in the industry. He changed gear in 1984 by embracing the emerging post-disco groove sound, releasing The Ronnie McNeir Experience, featuring the UK fan favourite ‘Come Be With Me‘. In 1985, McNeir had been recruited as a contributor to the Ruffin & Kendrick album by former Temptations David Ruffin and Eddie Kendricks. McNeir had provided backing vocals to Ruffin’s previous album, Gentleman Ruffin, and stepped up to produce and write on Ruffin & Kendrick. The album featured two songs co-written and produced by McNeir (and Four Top Obie Benson), including the album’s lead single ‘I Couldn’t Believe It’. The single was pretty good, but it largely sank without a trace, despite a renewed interest in the duo after their performances with Hall & Oates. Sadly, it was the last music produced by the two former Temptations before their untimely and equally tragic deaths. In the nineties, McNeir continued to work and perform as a solo artist, releasing the Down In The Neighbourhood album. He also worked on-and-off as a substitute keyboardist with the Four Tops, but was asked in 1999 to fill in for Levi Stubbs who fell ill. When Stubbs retired from the group soon after, McNeir became a full-time member, with Theo Peoples taking over the lead vocals (Peoples had sung with The Temptations but was fired due to a drug problem, but was then recruited by the remaining Tops in 1997 after the death of Lawrence Payton). McNeir has remained with the group ever since, but has also found time to record solo material, including 2007’s Ronnie Mac & Company and 2011’s Livin’ My Life. Today, McNeir continues to perform with the Four Tops along with the last original member Abdul “Duke” Fakir, Lawrence Payton Jr, and new lead singer Harold “Spike” Bonhart. McNeir often handles the lead vocals on the classic “Ask The Lonely” during Four Tops shows, and occasionally delights with his version of “What’s Going On”. The Four Tops today: (L-R) Ronnie McNeir, Lawrence Payton Jr, Abdul “Duke” Fakir, and Harold “Spike” Bonhart. The group are set to perform in the UK later this year with The Temptations and Tavares, and McNeir is scheduled to perform a rare solo set at the International Soul Festival in Blackpool in 2019. Ronnie McNeir’s albums Love Suspect and Life & Love are available on all digital platforms. For more information about his career and music, check out ronniemcneir.com.